Is it just me or does everyone have their own vivid daydream of the most perfect home? Some people dream of a big house with a wrap-around porch and others may dream of a big yard with a white picket fence. Me? I literally think about my future "beach-entry" pool daily. Ridiculous, right? Wouldn't want it any other way. When Wicker Central reached out to see if I'd be interested in participating in their Outdoor Oasis Style Challenge, I knew the exact look I'd be going for. Wicker Central is a premier wicker patio shop online that offers a wide variety of indoor & outdoor dining and seating sets, storage, accessories and more. 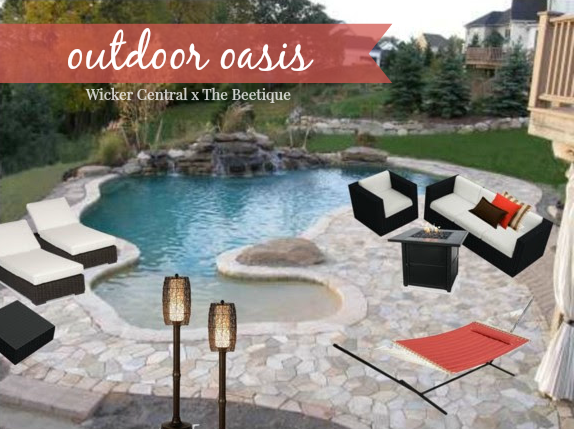 The Patio is the official lifestyle blog of WickerCentral.com that features inspirational topics about decor, furnishing, gardening, entertaining and outdoor living, so I've decided to participate in the challenge by sharing my own ideal outdoor oasis. 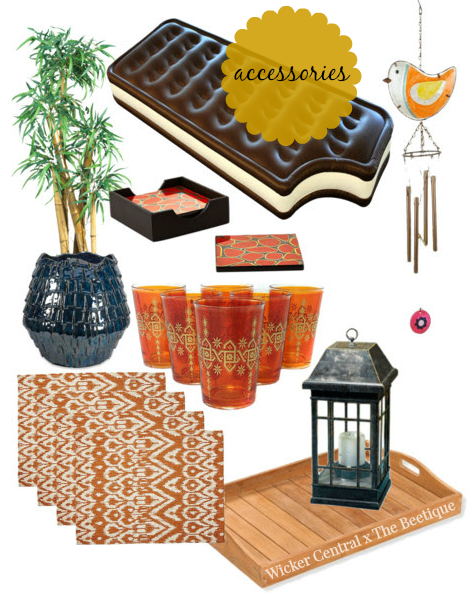 After spotting the Harmonia Living Urbana 3 Piece Wicker Conversation Set from Wicker Central, I knew right away that the rest of my furniture should compliment this set. I replaced the wicker table from the 3 piece set with the square fire pit, and put it beside the two daybeds for a fabulous look. Additionally, I went with the theme of black, white and espresso, with orange and neutral accent colors. Voilà! 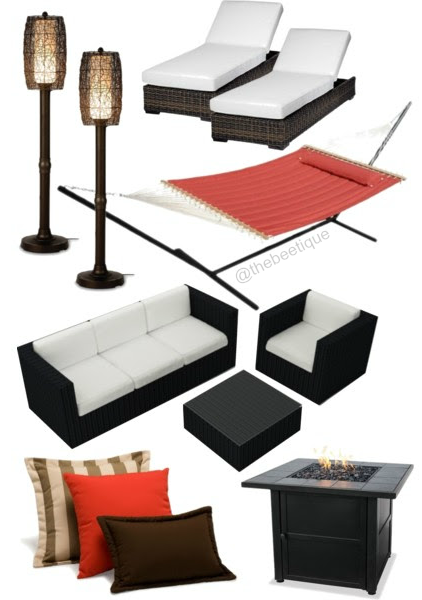 Thank you WickerCentral.com for such a fun style challenge :-) Now can I please have that entire yard and patio?! 1 comment on "A Picture Perfect Outdoor Oasis"